The retina is a light sensitive eye layer located at the back of the eye. A retinal detachment is simply a separation of the retina from the wall of the eye to which it is normally attached. Retinal detachment affects, approximately, one in 10,000 people every year. It’s a serious eye condition that can appear in any age, even though it is usually seen in middle-aged and elderly people. It is more frequent among short-sighted people or people with relatives that have previously suffered from retinal detachment. An eye contusion might also cause retinal detachment. In some unusual cases, retinal detachment is a genetic disorder and can even appear among children. Most retinal detachments are caused by the presence of one or several retinal tears or holes. The normal ageing process can cause slimming and deterioration of the retina, but most frequently, it is the retraction of the vitreous, the jelly-like liquid that fills up the eye, which causes the deterioration and retinal tears. The vitreous is attached to the retina through several points. If the vitreous body is retracted, it can cause traction to a retinal fragment, leaving a tear or a hole on it. Although vitreous collapse appears usually with age and it does not cause any damage on the retina, the abnormal growth of the eye (sometimes due to myopia), inflammation or traumas may also cause a vitreous contraction. When a retinal tear appears, the aqueous fluid of the vitreous may pass through the retinal hole into the space between the retina and the rear wall of the eye. This is how the retina starts to progressively detach from the eye wall. 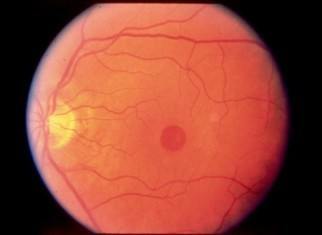 The detached retinal part will not function properly and blurriness or a black spot in vision will appear. How does a retinal detachment manifest itself? Which symptoms does it cause? Middle aged and older people may see floaters or spots and flashes of light. Most of the times, these symptoms do not imply serious problems. 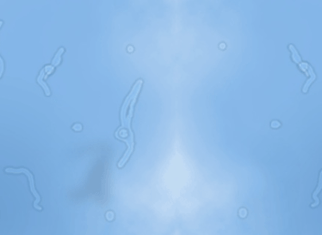 However, when new floaters appear, it is very important to attend immediately emergencies to perform an eye examination in order to check whether there are any retinal tears. It is advisable to perform the eye examination as soon as possible, since recent retinal tears can be treated early with laser, before the retina detaches. In some other cases, the patient does not refer floaters or flashes. In those cases, patients may have blurred vision or a black shadow in some area of vision. Progression of retinal detachment will lead to significant central visual blurriness and loss. Some rare retinal detachments progress very quickly leading to complete visual loss in the eye. A rapid visual loss can also be caused by bleeding into the vitreous cavity, if the tear breaks any retinal vessels. Why should we treat a retinal detachment? If a retinal detachment is not treated, visual loss is going to be permanent, as retinal atrophy and chronic eye inflammation develop. In some cases, this can even lead to a complete atrophy of the eye. What does the treatment consist in? Once the retina is detached, the treatment is always eye surgery. 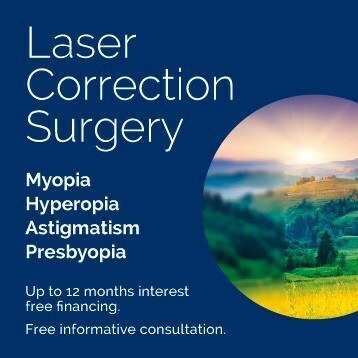 The treatment goals are: to seal the tear that caused the retinal detachment, with laser or cryotherapy, and to reposition the retina in its original place. This can be done by reducing vitreous traction to the retina from the outside, by suturing silicone elements on the sclera, or through a vitrectomy, and subsequently introducing gas or silicon oil inside the vitreous cavity. Surgery is performed under local anesthesia and sedation, as an outpatient surgery. Vitrectomy is a type of eye surgery to treat problems of the retina and the vitreous. The retina is a light-sensitive tissue located in the back of the eye. Vitreous is the clear gel substance that fills the eye. 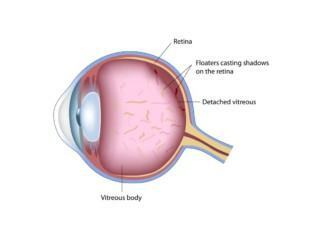 Vitrectomy consists of the extraction of the vitreous humor fluid and, usually, replacing it with a saline solution or with a bubble of gas, air or silicone oil. When the vitreous is replaced by gas or by silicone, it may be necessary for the patient to lay face down or on his side for a few days during post recovery. Moreover, if the inside of the eye is filled with gas or air, it is forbidden to fly in an airplane or travel up higher than 500 meters above the sea level until the gas bubble is gone since rapid altitude changes can affect it. Vitrectomy is usually performed in an outpatient surgery center and it takes between half an hour to several hours. It is performed under local or general anesthesia to numb the eye. The ophthalmologist will prescribe medicine to relieve pain and eye drops that should be used for several weeks. The ophthalmologist will also tell the patient when to go back to normal activities. Like any other surgery, vitrectomy has risks. Nevertheless, they are by far outweighed by the benefits of improved vision. Some of the risks are: bleeding, detached retina, high intraocular pressure or infections. hi , my name is amirhosein . I’m 31 years old . I’m dentist , prosthodontis. my left eye has suffered an accident with a blunt object truma . I had a primary repair in my country. At the same time, the vitrectomy operation, and lensectomy , which is considered satisfactory by my dr who has a fellowship in retinal defects . my doctor said to me I should wait for six months to extract silicon material which has been injected in my eye but my -old physician, who has cured my eye , said that because my eye pressur is low , I should not get the treatment . after that my doctor gave me a drop ( Lotemax ) for higher pressur eye and said to me 3 month later come back for follow up . can u help me for improvment for my vision?! if you can help me , I can send to you my treatment document ? may god be whit you . 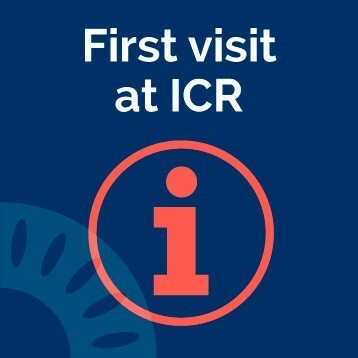 Thank you so much for contacting ICR. We kindly ask you to send your ophthalmological reports to international@icrcat.com in order to study your case and give you an answer. Hi, I am sajan. My father suddenly lost his vision (left eye)at 18th December 2018. Doctor says,He got Vitreous Heamorrhage with RD.internally there is bleeding and cornea detachment. They suggested an operation . Unfortunately still his diabetic level is high. They suggest after controlling diabetics they will perform this operation which procedure is Inj. anti VEGF then PPV+AFEx+EL. My father also want to wait for another one week for his personal reason. Can you tell me If we have sufficent time or not because it is already 13 days past and another one week means 20 day.can we wait one week ? 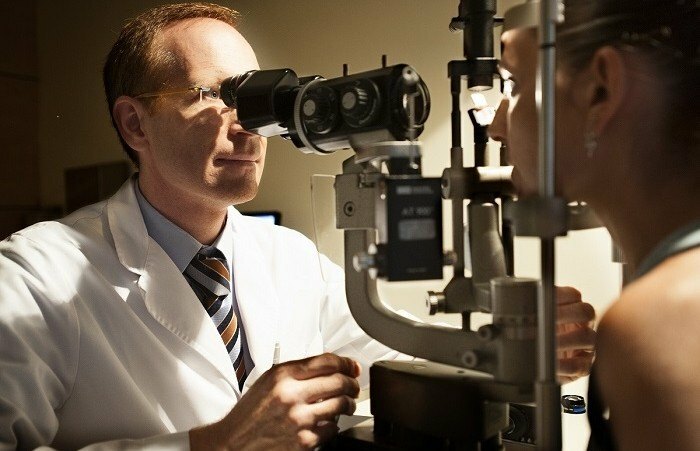 In order to decide if your father needs an urgent surgery, we should know if he has a rhegmatogoneous retinal detachment or a tractional one. Traction retinal detachments are not so urgent, so your father may wait for some days without risks. The other issue is if the eye pressure is normal or high. Diabetic patients with high intraocular pressure may require urgent surgery. In summary, my impression is that your father can wait for one week more without any significant worsening of the visual prognosis.